Tired of pesky neighbors complaining that your dog’s barking too loud? Tired of training your pooch to stop growling, barking, and howling at innocent kids and guests? Then it’s high time you purchased an anti-bark collar for dogs! Make your life a little easier with advanced technology and efficient training that these devices deliver. In our guide, you’re going to learn the nitty-gritty of purchasing bark collars, see how they work and what types of collars are there. We’ll also review the TOP 6 Best Bark Collars on the market to make choosing one less of a hassle. What is a bark collar and how it works? How do I know if my dog needs a bark collar? How do I choose the best anti bark collar for my needs? With such a proliferation of advanced gadgets on the market, it’s a shame not to take advantage of one of those devices that claim to help with training your dog to behave better and bark less. But let’s see what these devices have to offer and if they are really worth buying. A bark collar is a device that controls your dog’s barking whenever necessary. There is most often a microphone within the collar that detects suspicious activity such as barking or growling and responds to that activity by taking a certain action to prevent it: delivering a static electric shock, emitting an ultrasonic high pitch noise, or spraying a citrus-scented liquid. In case you tried every other humane method of teaching your dog good behavior and nothing seemed to work, then probably it’s not a bad idea to try one of those anti-bark collars. However, more humane ways are always preferred because this is a relationship between you and your dog we are talking about, and I’m sure you don’t want to ruin trust and shake that frail mutual love. Also, if money’s not an issue, maybe it’s a good idea to hire a professional trainer, even if in the end you’ll end up with one of those collars anyway, at least you’ll be able to ask a professional all the right questions on how to use, fit, and properly size the collar. However, if money’s the greatest concern and your dog just doesn’t seem to respond to your perfectly good and affectionate conduct, then collars can be the only options you’re left with. Also, when neighbors are greatly distressed with your dog’s barking and you can’t just take their offensive complaints anymore, then you can get a collar to show them you are committed to training your dog some good manners. 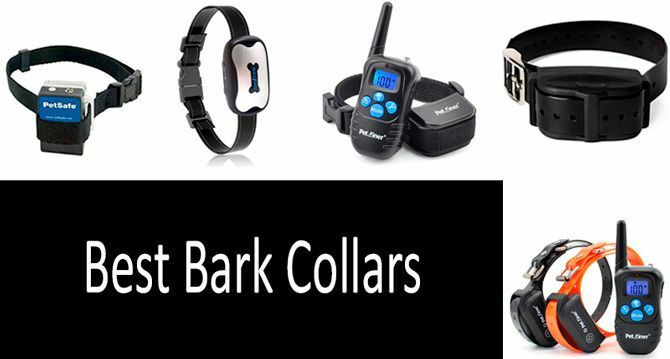 Now let’s look at the most common type of bark collars currently available on the market. This type of collars is based on delivering a static electric shock, which intends to be harmless, as a response to barking. Some models are radio-controlled electronic devices, some include tone and vibrational settings in addition to electric shock, others have in-built GPS locators to determine the dog’s whereabouts. Most often these collars would have a microphone inside that would sense the barking and deliver an electric shock, other devices could associate your dog’s body vibrations with barking and respond accordingly. Are e-collars cruel or effective? The researchers from Michigan State University, for example, strongly oppose the use of electric shock collars, saying that positive training methods should be always preferred. However, if there’s no other alternative, then e-collar must be paired with other positive methods like praise, consistent use of positive language and emotions. Unfortunately, if the power of the collar is abused, a dog can become confused, aggressive, frustrated, and even depressed. The e-collars might also result in misassociations, which happen when dogs start associating an electric shock with something other than their own barking. There was a news story when an old lady’s dog started associating electric shock with small dogs and once it did kill another dog because of that. Another scientific review of the literature on electronic training devices, published in 2007, concluded that electronic training was aversive, should be avoided, and never used as the first level of training. However, the review also mentioned that when used by a skilled professional no physical injury to a dog should occur, whereas when used by a regular untrained and unprepared pet owner, the possible adverse outcomes are numerous and unpredictable. According to the latest data, electric shock collars are going to be completely banned in Great Britain. 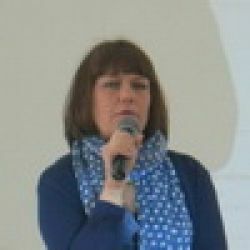 That said, although the manufacturers claim that the collars are harmless, it is not entirely so, and governments and charities across the world are taking steps to prevent unnecessary animal cruelty. However, the International Association of Canine Professionals (aka IACP and that’s based in the US) strongly opposes the ban on the humane use of any training tool saying that the ban “would result in a higher incidence of nuisance and dangerous dog behavior, and more dogs being surrendered to already over-burdened public shelters”. That said, the association also mentioned that these training tools were particularly effective in training working dogs that performed specialized tasks and were beneficial to society. Another type is also known as spray collars and, as the name gives away, these collars spray the dog with a plant-based liquid in response to barking. This is a safer and a much more preferred alternative to e-collars. A study published by the researchers from Cornell University confirmed that citronella collars were more effective than e-collars. However, they also mentioned that it was important to adjust the microphone sensitivity so the dog doesn’t get punished for some other dog’s bad behavior and barking. An ultrasonic bark collar emits a high-pitched ultrasonic sound (that only dogs can hear) as a response to barking. Unfortunately, not a lot of scientific research is available on the use and the effectiveness of such devices, but they become more and more common, and hopefully, more studies will follow. Besides, ultrasonic devices seem more humane, however, the degree of humaneness can be questioned. The reason is that you never know if the sound can really hurt the dog and drive her crazy: you don’t hear the sound and you don’t know how it actually affects the dog in the long run. Overall, ultrasonic bark collars fall somewhere in between citronella and e-collars, with citronella being the most humane and effective, and e-collars being the most inhumane and controversial. First off, you need to ask yourself if you really need an anti bark collar and if it’s absolutely necessary. And if the answer is yes, then consider choosing the most humane version of the collar available. That said, citronella collars are going to be preferred. Then ensure the collar is from a respectable trusted brand, preferably American, with guarantees, return policy, and a reliable customer service. Look for collars with more than one setting for better customization (both for you and your pet) to adjust the settings, if necessary. Other things to consider when shopping are addressed hereinbelow. Most manufacturers would outline the dog’s weight in their products’ description, so you should have no problem with choosing the correct collar according to your pet’s weight. Puppies under 8 lbs, however, should never wear a bark collar. Use the weight in conjunction with the manufacturer’s information on the recommended neck circumference, as the size of your pet’s neck can be more indicative. If you’re advised by a professional dog trainer to purchase a static e-collar, and you’re sure you’re not going to abuse its power, then go for it. If you’re into a more humane approach, then purchase a citronella or an ultrasonic collar, which would work just as well. Make sure the sensitivity of the device can be adjusted so your dog doesn’t get punished for other dogs’ barking and misbehavior. The more settings a device has, the better. Look if the device is durable. It should be water, dust, moisture, snow proof. Nylon is the preferred material as it’s the most durable one. Here we’ll walk you through all the best bark collars currently offered on the market: we’ll cover several e-collars, more humane collars without shock but vibration or spray, as well as talk about “invisible” fence collars that help train dogs with “space issues”. This device from Petrainer is an absolute bestseller in the e-collar category. It has also been endorsed by expert trainers and well-received by the consumers alike. According to the manufacturer, the barking collar can be used to correct various unwanted behaviors, as well as teach other behavioral obediences, like walking, sitting, lying, responding to voice commands, etc. This model features three types of stimulation, including static shock, vibration, and sound (standard tone, beep). The collar static has multiple levels of intensity ranging from 0 up to a 100. There’s also a remote that works up to 330 yards to easily train your dog outside in a park or yard. The receiver and transmitter can be recharged and are also water-resistant, bringing durability and convenience to the device. The collar strap is made of nylon and can be adjusted. Would fit necks from 15 to 22 inches. The customers who were well-devoted to the brand and this particular model recently expressed their concerns over the product’s redesign and remodeling which resulted in an inferior product. Some mentioned that the new remodels worked only for a few days, while their older versions were still working on other dogs. This is yet another product from Petrainer, which is a bit more expensive than the model we described above, but you’re also getting two receivers and one remote for the price. It features the same types of stimulation, namely static shock (from 0 to 100), vibration (100 levels), and sound (standard tone, beep), the difference is only in the size of the collar, as it fits necks up to 25 inches and would sit well on pets 15 lbs or larger. The adjustable TPU strap is also easier to clean and take care of. The device and its components are also 100% waterproof. The majority of customers seemed pleased with their purchases, but there were again a few who said the remote lost the connection half of the time, rendering the device not very practical. This is one of the expensive items on our list, but it’s also pretty sophisticated. It works not only by detecting when your dog barks but also in combination with vibration from vocal cords. So, if other dogs bark, it won’t do anything to hurt your pet. The device’s patented bark sensor system provides more reliable control and detection. There’s also a safety built-in feature that shuts off the unit after the dog barked for more than 15 times per 50 seconds. SportDOG is not a regular e-collar, it actually features a pretty advanced progressive correction mode that starts at very low levels and progresses until the dog responds to the stimuli. However, if you prefer to customize the settings yourself, you can switch off the progressive correction control and select a user mode. Other things this device boasts of include 10 levels of static, 3 selectable modes (learning, progressive correction, user mode), and rechargeable batteries. Intended for dogs 8 pounds or with neck sizes of 5-22 inches. The device’s also waterproof. It also seems like the product delivers as advertised judging by generously positive consumer responses. However, please, be careful with this device, because it can actually hurt your pooch if your pet’s skin is very sensitive. Some consumers, unfortunately, shared the pictures of their little four-legged friends with burned necks and scars because it was that intense. Please, be careful and take care of your animal friends. This is finally the spray product that has been recommended as a training alternative to e-collars. It uses a burst of citronella spray (which dogs hate) to discourage barking. It’s water resistant and the can’s good for 300 to 400 sprays. This device can be used on dogs more than 8 lbs and with necks up to 27 inches. It operates on reusable batteries (which are included). The customers, however, had varying degrees of success with this device, but many of them still said that they had great results. Others, who were left rather unhappy, mentioned the device stopped working correctly after a while and they needed to purchase a replacement or exchange it for a working version. This is a more humane approach to an e-collar, it also won’t spray your dog with any liquid, but will vibrate and emit a sound when it spots an unwanted behavior. No shock unit detects movement of your dog's vocal cords and then emits audible warning beeps that are followed by vibrations if the barking continues. The collar’s size is practically one-fits-all and can be easily adjusted for any dog of any breed and weight (neck’s circumference up to 21 inches). All-weather nylon web collar is impervious to rain and snow. The collar also features 7 sensitivity adjustments, works on batteries (included), and has a dual-retention plastic buckle to ensure it remains on your dog. Surprisingly enough, it worked like a charm for consumers, who mentioned that it worked way better than an electric shock. However, there were still unimpressed consumers who said the beeping actually confused their pets, scared or made them whiny instead. In case you’re looking for something more than just an e-collar, then you’ll like this advanced version specifically designed for aggressively dominant or just plain stubborn dogs. The device features a sophisticated engineered technology of a hidden electric dog fence. However, there are still wires present (industrial grade 500 ft of solid copper wire) that need to be mounted on the physical fencing. The transmitter is so powerful, it can handle up to 20 acres of land. Every component of this system is 100% waterproof and the rugged collar can actually be submerged in water up to one meter. The system also features progressive correction training with increasing intensity with a safety shut-off feature. The collar’s rechargeable and suitable for both small and large dogs from 8 lbs. Consumers said the product delivered as advertised and was very easy to install, the customer service was also ready to answer all the consumer’s questions. One person, however, mentioned that the device was not very consistent. How to fit a bark collar? As you may have learned from the video, it’s best to fit the collar around the nearest part of the neck so that the electric contact points would have a better connection with the dog’s skin. How tight should a bark collar be? It should not be too tight because you don’t want to strangle your dog, but it should not be too loose as well because this way there won’t be enough connection for the shock to be delivered consistently. The distance between the collar and your dog's skin should fit one of your fingers. If you think that your dog’s barking falls outside the listed reasons above then you should seek the veterinarian help and check if your dog might suffer from any disease (although very rare) that would contribute to her excessive barking. It’s crucial to exclude any possible medical reasons that could cause your dog to bark. Your veterinarian can also suggest you visit a pet behavior specialist who can help you with reducing the dog’s dependence on you, help your dog with separation anxiety, overcome fear and calm down on her own. Consider temporary day-time boarding in case your pet’s previous history with boarding is positive or if your pet has not yet been boarded then take all steps necessary to ensure she’s fully comfortable while away from you. We’ve decided to share a couple of videos on teaching dogs not to bark with and without bark collars for you to see how others do it and maybe learn some tips that would help you train your dog as well. E-collars (or static electric shock collars) are not considered very safe since they can hurt or burn your dog if abused or if set inappropriately. Can bark collars cause seizures? Unless your dog is already epileptic, the bark collar should not cause or induce epilepsy in a healthy dog. However, if your pet has been known to previously have epileptic episodes, then, of course, it’s best to avoid it because electric shock delivered to the brain can cause seizures in an affected animal. Can you use a bark collar on a puppy? The dog’s advised to weigh at least 8 lbs and be over 6 months old. However, it's also advised to wait that your pet is a little bit older than that age threshold. Will a bark collar work on a cat? This is a totally bad idea. The shock that might be okay for a dog could be dangerous for a smaller cat. And while some pet owners claim they used the collars on their cats, don’t go down that road. Do bark collars work for howling or whining? Yes, if you adjust the sensitivity settings enough for the detector to sense the slightest vibrations in the vocal cords or to the sound of howling rather than full-blown barking. However, only a few advanced collars will have the sensitivity adjustments, so if howling is a concern, then look for collars that can be fully customized. E-collars, when not abused and set up properly, should not hurt your dog. However, these devices are not preferred, because it’s always advisable to try and train your dog with love and affection first. And if that doesn’t work out, then try more humane gadgets that would spray something harmless on the pet or beep a couple of times to teach her associate new unpleasant sounds, smells, and feelings with her barking. Hopefully, that would work, stay safe and take care of your best animal friend! Read also our guide: 24 Best Dog Cooling Products. Review of Best Cooling Devices from TOP Manufacturers.